south african reserve bank Archives - Africa M.E. 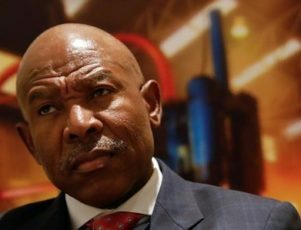 JOHANNESBURG (Reuters) – South Africa’s central bank accused the head of anti-graft watchdog of incompetence on Friday, following her proposal to switch the target of its monetary policy from inflation and currency stability to economic growth. Public Protector Busisiwe Mkhwebane set off a political row and sparked a selling frenzy in the rand currency last month when she said the Reserve Bank current mandate focuses on a “few commercial interests”. 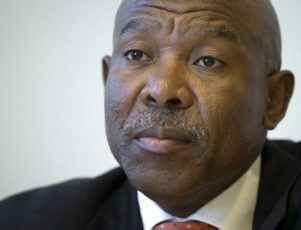 In a scathing court filing, Governor Lesetja Kganyago said the constitutionally mandated watchdog was “reckless” and her later explanation of the report showed a lack understanding of the constitution and the central bank’s powers and functions. Opposition parties, Democratic Alliance and the Economic Freedom Fighters, have also branded Mkhwebane incompetent and urged her to resign or for parliament review her ability to execute her duties. Mkhwebane has been in the job since October last year. Her proposal was also opposed in court by parliament and finance minister Malusi Gigaba, both of whom have said she over-stepped her powers. The call threatened to further stain South Africa’s credentials as an investor-friendly emerging market, coming less than a week after mines minister Mosebenzi Zwane spooked investors by raising the minimum threshold for black ownership of mining companies to 30 percent from 26 percent. PRETORIA (Reuters) – Barclays Africa Group unduly benefited from apartheid-era bailouts and must repay 1.125 billion rand ($86.44 million), South Africa’s anti-graft watchdog said on Monday, though the bank denied any wrongdoing. 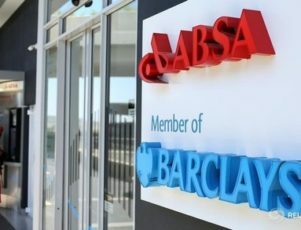 Public Protector Busisiwe Mkhwebane in January reopened a probe of Absa, a unit of Barclays Africa, following a wider report published last November by her predecessor. She said on Monday that the probe had found that the apartheid government breached the constitution by supplying Bankorp, which was acquired by Absa in 1992, with a series of bailouts from 1985 to 1995. “Once we have read it we will consider our legal options including seeking a High Court review. It is our firm position that there is no obligation to pay anything to the South African government,” Absa said. Shares in Barclays Africa fell 2.61 percent to 142.68 rand by 1253 GMT. JOHANNESBURG (Reuters) – South Africa’s economic growth will be much softer this year after the country slipped into recession in the first quarter, and with inflation easing an interest rate cut is back on the agenda, a Reuters poll found. Africa’s most industrialised nation is expected to expand 0.7 percent in 2017, 0.2 percentage points slower than last month’s median as economists trimmed growth forecasts following South Africa’s first recession for eight years. The median prediction for interest rates shows a cut is back in the forecast horizon – 25 basis points to 6.75 percent in January or March. Some economists have pencilled it in as early as July or September this year. In March, the consensus was for the repo rate to be cut to 6.75 percent early next year but then President Jacob Zuma changed his finance minister for a fourth time, triggering debt downgrades and leading economists to push cuts off the horizon. But a trimming is back on the cards and Mandla Maleka, chief economist at Eskom Treasury, said the cut could come earlier than 2018. “It will be contingent on the persuasive improvement on domestic inflation and less volatile currency. Growth – much as it is not targeted by the Monetary Policy Committee – could be the game changer,” Maleka said. After contracting 0.7 percent in the first quarter, the economy is expected to have rebounded and will expand 0.8 percent this quarter and 0.9 percent in the third. In contrast to South Africa, the U.S Federal Reserve is widely expected to raise its interest rate this week due to a tightening labour market and may also provide more detail on its plans to shrink the mammoth bond portfolio it amassed to nurse the economic recovery. South Africa’s Reserve Bank does not have the fire power of bond purchases like the U.S. Fed and only targets inflation, with an aim to keep it between a 3-6 percent range. Consumer inflation slowed to 5.3 percent in May, and is expected to average 5.5 percent this year, a change to last month’s median of 5.7 percent. 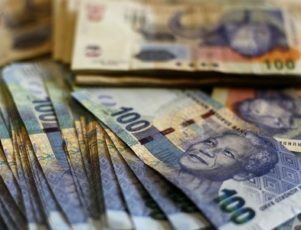 Economists are worried that debt denominated in the heavily traded rand is in serious risk of being downgraded to “junk status” this year, ejecting it from crucial bond indexes that automatically invest in local bonds and prop up demand for the rand. However, Thea Fourie, senior economist at IHS Markit, added that lower inflation and interest rate levels could support real incomes of households. Fourie added South Africa’s growth environment was low partially due to very weak confidence, both for investors and consumers. “This means big ticket spending plans are delayed,” she said. The ruling African National Congress (ANC) is due to hold a conference at the end of June to review policy and make recommendations on amendments or new strategies. Investors hope that will address confidence issues.